Ecclesall Woods are considered ancient for two reasons. First, the woods can be traced on maps dating back to 1600. Second, the woodland ecology is defined by soils containing seeds that are primarily associated with ancient habitats. 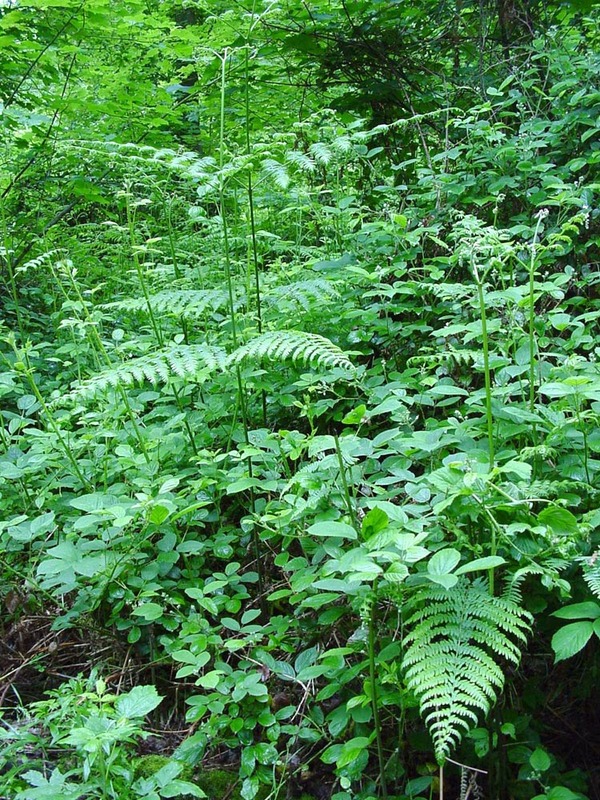 Such plants are called ancient woodland indicator species. The Woods are dominated by oak – either English or sessile, and birch – downy or silver. Alder, ash, elm, field maple, hawthorn, hazel and rowan all also occur naturally here. Beech, hornbeam, larch, Scot’s pine, sweet chestnut and sycamore are among the non-native species introduced during the early 19th century. This is why the Woods are regarded as ‘semi-natural’. 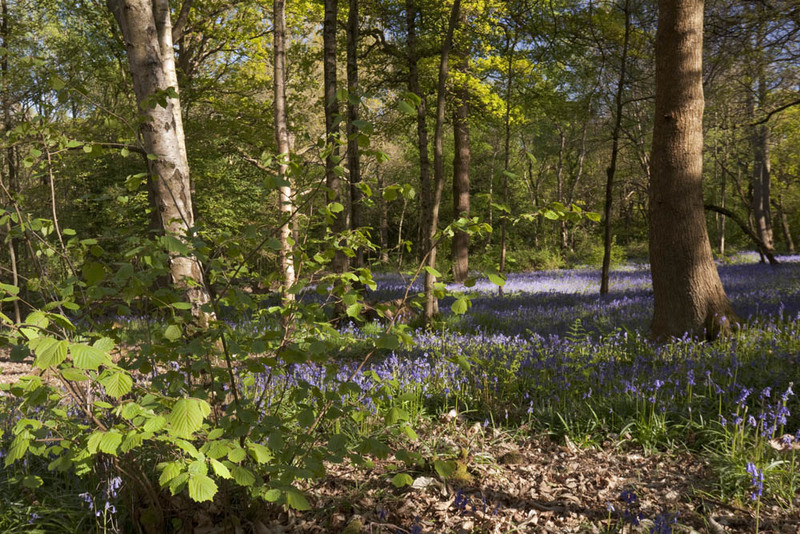 Just 2.3% of Britain’s landcover is classed as ancient woodland, making large examples like Ecclesall Woods particularly important. The underlying rocks are part of the Coal Measures from the Upper Carboniferous period (around 350 MA). These rocks include greenish-brown sandstones, blue-grey mudstones and black shales with coal seams. The soil overlying these rocks is slightly acidic and this determines what plants will grow. Heather and bilberry thrive in peaty or loamy acid soils where the pH is between 4.5 and 6. Anything higher than 6.5 pH and they become iron-deficient, turn yellow and die. Ecclesall Woods’ soils were radically altered during the 16th and 17th centuries when the topsoil was stripped away for use in charcoal and white coal production. A few substantial areas have a pH of just 3.2 and much of this soil remains bare, as only exceedingly specialised plants can tolerate such acidic conditions. Elsewhere the effects of industrialisation on the woodland ecology are less obvious but still traceable through the impact on floral diversity. 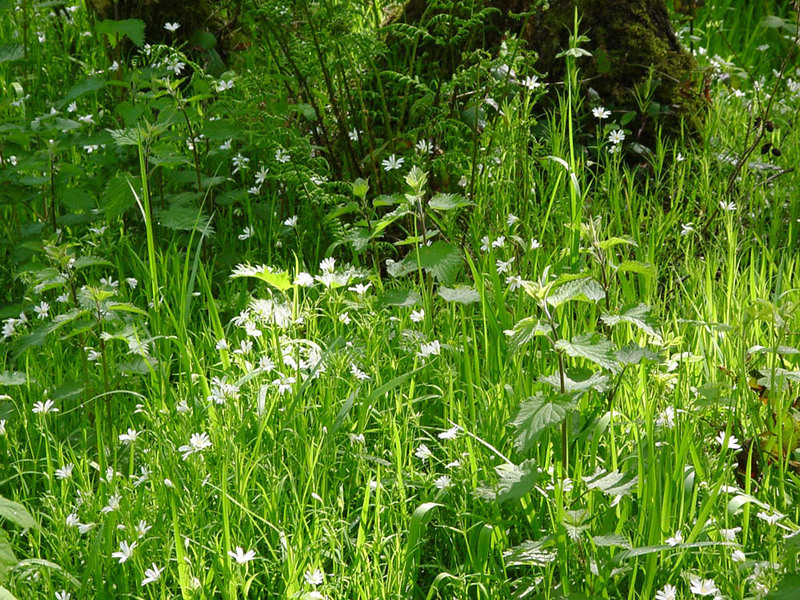 Movement and trampling of soils has contributed to the dominance of a handful of species, namely: bluebell, bracken, bramble, honeysuckle and swards of creeping soft grass. The Woods are a Local Nature Reserve and home to several UK Biodiversity Action Plan priority species – including song thrush and white clawed crayfish – and priority habitats such as wet woodland, consisting of alder, downy birch and willow. In 1929, shortly after the Woods became publicly owned, a Bird Sanctuary was established in Wood 3. To protect birds from human disturbance, 17 hectares were fenced off and most visitors respect the need to stay out. The number of bird species breeding in the Woods has risen from 41 species prior to the creation of the sanctuary, to 61 species in 1980. The bird population is also higher overall – common species are listed in this recent survey. Wood 3 also boasts a noisy heronry, situated in larch trees just outside the western edge of the sanctuary. 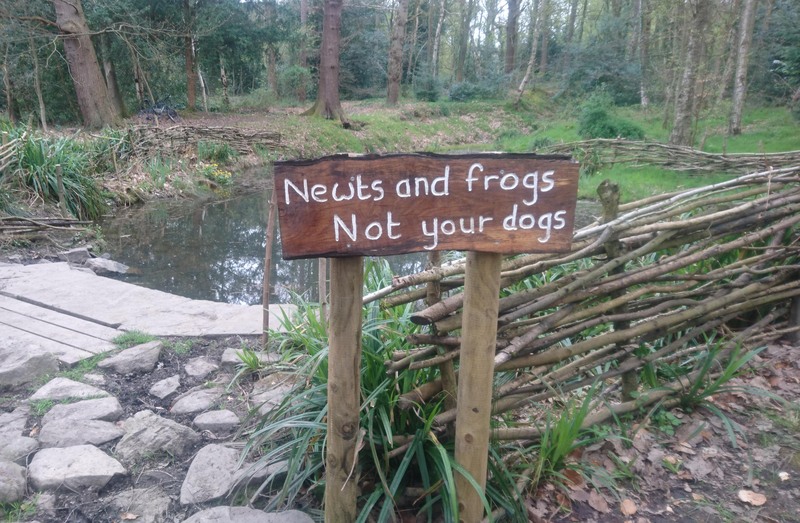 Collier’s Pond – newts and frogs, not your dogs! Several ponds have been created within the Woods, the largest of which is the Collier’s Pond. Created to both solve an unsightly problem – a litter-filled disused quarry – and to provide an aquatic habitat, the Collier’s Pond is now home to frog and newt colonies. More about its construction can be read here. Unfortunately the pond has also become a favourite place for dogs to swim and this impacts negatively on wildlife. New signage reminds owners that it is not meant for their dogs. The other ponds are located in Whirlow Playing Field, one in the Donkey Field and another two at the northwestern corner of the Bird Sanctuary. Over the course of many decades 421 flowering plants and 171 fungi species have been recorded in the Woods – a complete list can be found in “Ecclesall Woods, Sheffield – a Flora”. Otherwise a list of ancient woodland indicator species found growing in the Woods is available here. The Ecology Group contributes to this strong tradition of recording plant species and has conducted the following surveys. The first mapped survey was on the distribution of english bluebells (Hyacinthoides non-scripta). See map (1.5MB). We also looked at the distribution of greater stitchwort (Stellaria holostea) and sanicle (Sanicula europaea). 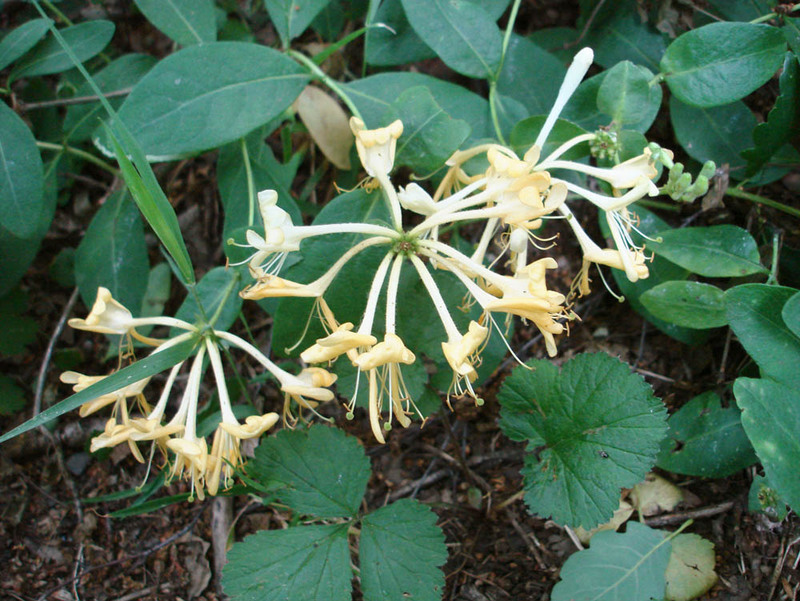 The results of this survey found honeysuckle (Lonicera periclymenum) to be plentiful and widely distributed throughout the Woods. However, it seldom climbs and seldom flowers, probably because of the low levels of light in summer under the tree canopy. Four early spring flowering herbaceous plants species were chosen for this survey: wood anemone (Anemone nemorosa); lesser celandine (Ranunculus ficaria); golden saxifrage (Chrysosplenum oppositifolium); wood sorrel (Oxalis acetosella). All of these except, lesser celandine, are indicator species, meaning that their presence points to the probability that a woodland is ancient in origin. 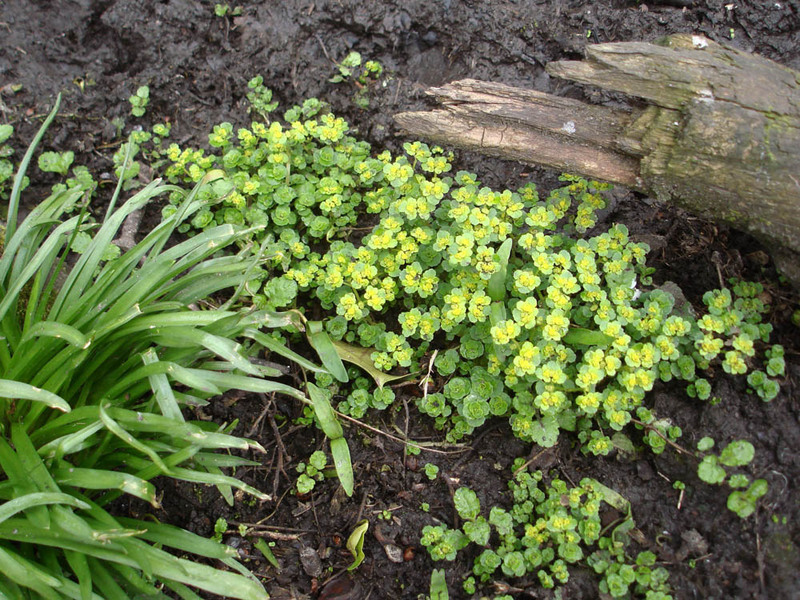 The survey showed that wood sorrel and golden saxifrage tolerate considerable shade, whereas wood anemone and lesser celandine prefer situations with more light, often near the edges of the Woods. In this two-year period two grasses were surveyed: creeping soft grass (Holcus mollis) and wavy hair grass (Deschampsia flexuosa). Creeping soft grass is widespread and common; while wavy hair grass is restricted to areas of poor acidic soil, where it is often found with bilberry (Vaccinium myrtillus). Bilberries do not fruit in the Woods due to low light levels. 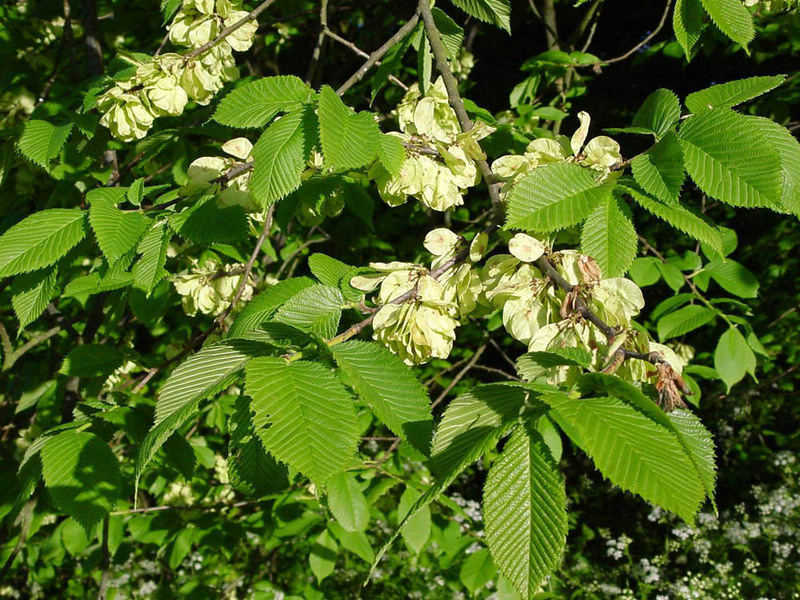 An attack of Dutch Elm Disease destroyed almost all the Woods’ mature elms and the survey found only two remaining, growing in the midst of dense stands of other tree species. It was encouraging to find many young wych elms (Ulmus glabra), some of which have reached about 5m tall. These elms will be watched for any recurrence of the disease. Spanish and hybrid bluebells were recorded in an attempt to evaluate their spread and the effect on the native bluebell population. 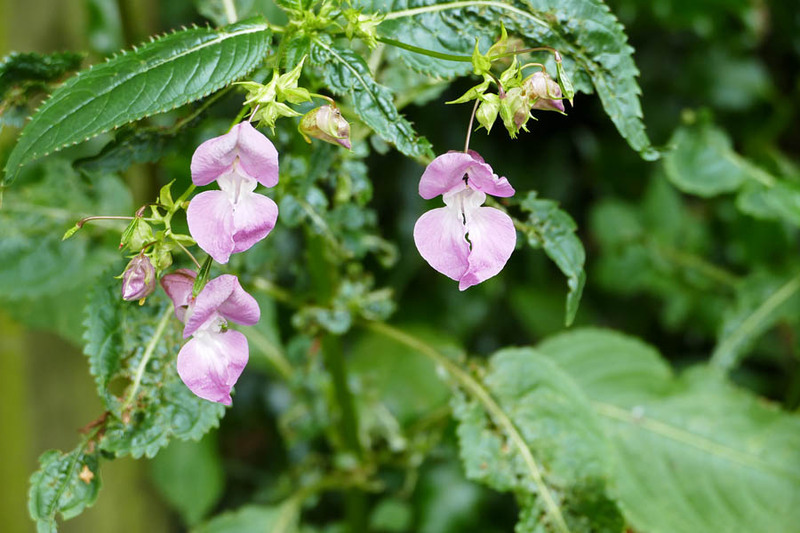 This year’s survey concentrated on finding, and destroying, Himalayan balsam (Impatiens glandulifera). 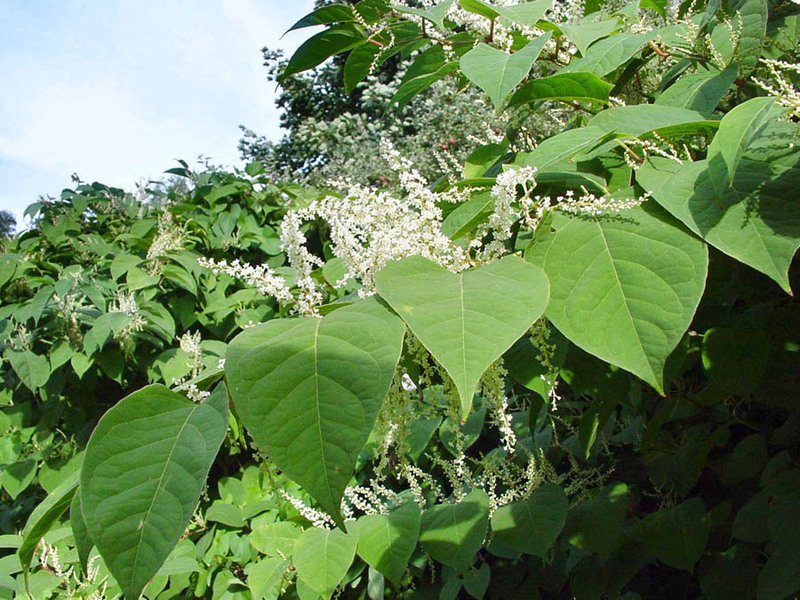 This is an invasive annual plant, growing up to 2.5m tall, which prefers river edges and moist habitats. The large distinctive pink flowers appear in August-September. The exploding seed capsules help spread the plants far and wide, often along water courses, crowding out native flora unless controlled. It would seem that the clearing work undertaken in 2005 was effective, as only a few plants remain and the Footpath and Restoration Group are helping to limit its spread. For the purposes of this survey a mature oak (Quercus spp.) was defined as having a trunk at least 1m in circumference at chest height, meaning that the tree was likely to be between 150-200 years old. 2000 mature oaks were recorded and, because the survey remained incomplete due to lack of volunteers, there are likely to be many more. 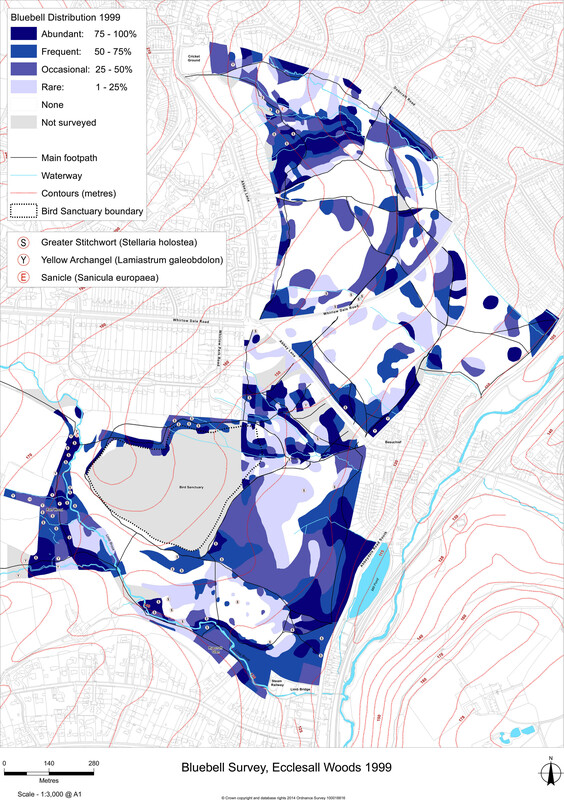 This survey looked at the regeneration of areas where trees had been cut to assist the woodland renewal process. 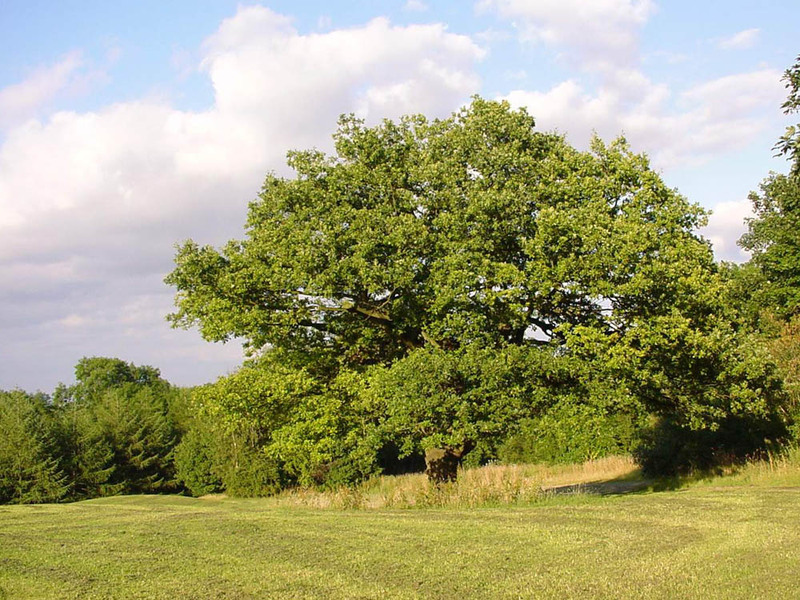 Oak regeneration was particularly good, with many seedlings reaching 15 – 50cm high. Foxgloves (Digitalis purpurea) had sprung up in the clearing within Wood 3, putting on a spectacular show, however they were absent in Wood 2’s clearings. Instead these clearings have holly, hazel, sycamore, brambles and raspberry in the shrub layer, growing alongside the oak seedlings. 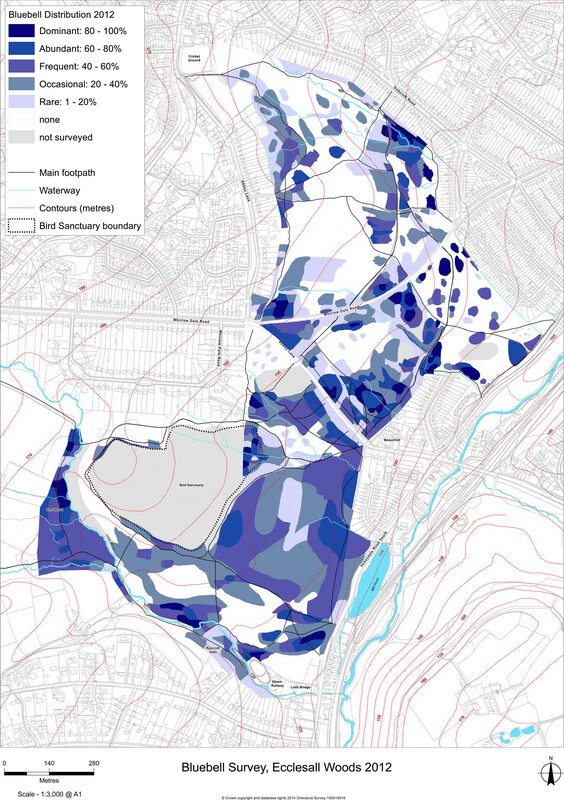 Two surveys were undertaken during this two-year period, one of which was carried out as part of a Sheffield Hallam University project looking at trees of particular interest. Each surveyor chose a remarkable tree in their area and visited it through the year to record wildlife around the tree, the surrounding vegetation and changes in the tree itself. The other survey was of sedges and rushes, some of which are ancient woodland indicator plants. This proved to be a difficult project, as many sedges are only identifiable when in flower. Remote sedge (Carex remota), an indicator species, had vanished from some locations, however it was also found to be colonising new areas. This survey recorded the distribution of summer flowering herbaceous plants. It is clear that the majority of summer flowers are found at woodland edges and along pathways. This is to be expected as these plants require more light than is available within the woodland interior. Only wood avens (Geum urbanum), enchanters’ nightshade (Circaea lutetiana) and brambles (Rubus fruiticosa) flower well in the heavy shade cast by crowded tree canopies. Scot’s pine (Pinus sylvestris), larch (Larix spp. ), yew (Taxus baccata), Douglas fir (Pseudotsuga menziesii), spruce (Picea spp. ), hornbeam (Carpinus betulus) and crab apple (Malus sylvestris). The second survey tracking the distribution of English bluebells (Hyacinthoides non-scripta). See map (1.0MB). In this survey we recorded the blooming periods of flowers, shrubs and trees in the six month period between February and July. The Woods have many boggy areas some of which are without vegetation, we recorded these sites and any plant species growing in the vicinity. Tracking the spread of cherry laurel (Prunus laurocerasus), skunk cabbage (Lysichiton americanus), Japanese knotweed (Fallopia japonica), and also Rhododendron ponticum and Himalayan balsam (Impatiens glandulifera). Efforts to control both Rhododendron and cherry laurel have seen a reduction in their numbers. 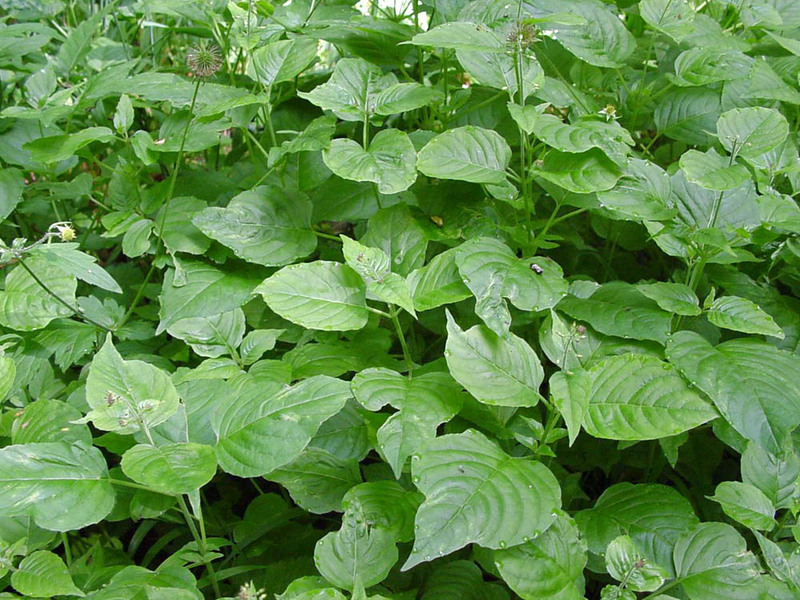 No skunk cabbage was found; knotweed and balsam populations are under control and not spreading. This is all thanks to the hard work of the Footpaths & Restoration Group. Recording trees, bluebells and other flowering plants. Plus revisiting the ‘landmark trees’ surveyed in 2008 – 2009. This study looked at the re-emergence of spring and summer wildflowers in areas that had been recently coppiced, cleared and fenced off from public access. The coppiced and cleared areas inspected in 2017 were revisited to see what plants had returned a year later – this is an ongoing project. Areas where English bluebells (Hyacinthoides non-scripta) have been in decline were resurveyed, taking into account the distribution of bramble (Rubus fruticosa) and holly (Ilex aquifolium). 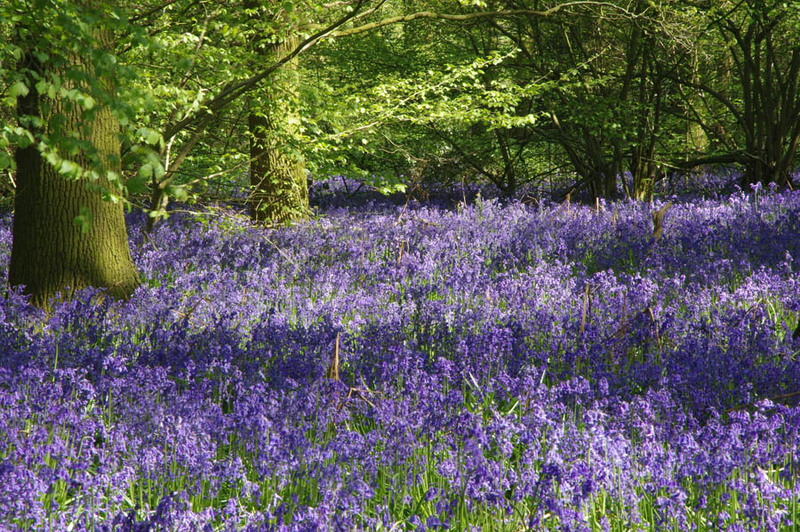 Findings show that holly spread is negatively impacting on bluebell populations.